Colouring In – It’s great for managing stress. In the past six months, there’s been a massive surge in the popularity of colouring-in books – at the time of print, half of the titles on the top 10 bestsellers list in Australia fall into that genre. No doubt you’ve probably had at least one friend herald its genius, too. To clarify, today’s adult colouring-in books are light-years away from the basic ones of our childhoods. They’re filled with hyper-detailed illustrations of the natural world, capital cities or intricate mandalas, and are designed to cultivate mindfulness. You can even turn your favourite celebrity crush from a linear drawing into a full technicolour dreamboat. There’s also something therapeutic in the process. According to John Barter, a Buddhist psychologist and mindfulness meditation teacher, stress and anxiety often relate to being caught in negative thoughts that dominate your attention. 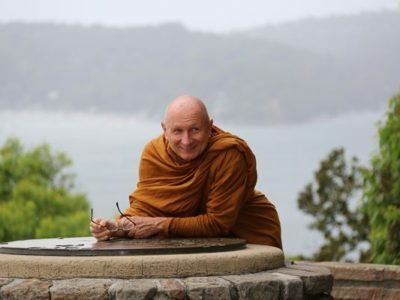 “To bring the mind to a point of attention, whether on the breath as in formal meditation, or on colouring in, the brain needs to reduce extraneous thinking,” he explains. “Mindfulness brings a feeling of slowing down, a reduction in stress hormones and thus, a reduction in anxiety. John has written a piece for an article published on Sunday in Sunday Style – to read the whole article use the link below.